Decorate your wall and add to the beauty of your home by indulging in these simple yet stylish Rainbow Colors Wall Clocks by ZEESHAAN. This attractive clock range is for those who want to flaunt their passion on their wall. Spectacularly designed from high quality material, these are lightweight, durable and moisture proof. Fashioned in vibrant colours,this fiber wood wall clock promises durability and easy style to revamp your everyday décor. Pick up this appealing clock and give your house a retro look. 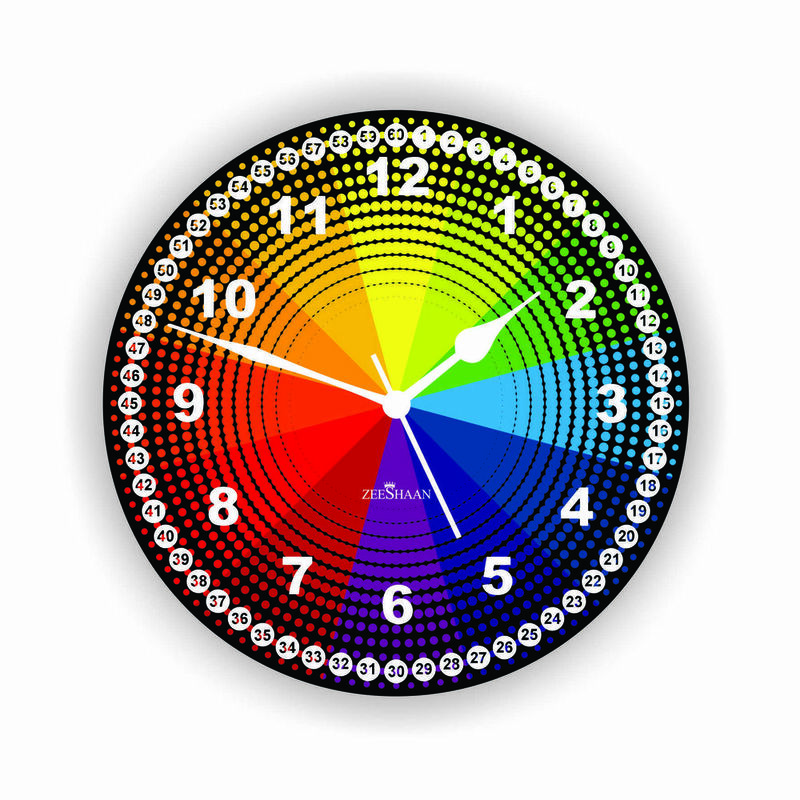 Get various designs and styles, these clock will lend your home a classic and elegant touch. A one stop destination for decor and furniture, Infibeam.